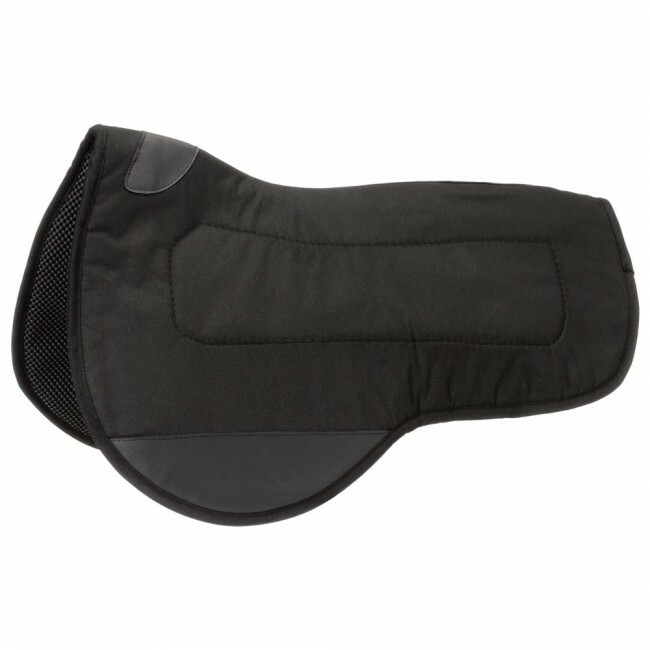 Airflow contour mule saddle pad. Non-irritating air flow panels provide greater air circulation and flexibility for mule’s comfort. Vented PVC rubber reduces slipping and allows for natural lubrication as mule moves. Heavy cordura top with wear leathers. Contour shape comfortably fits the mules back.